Joe, Moe and Boe are three protagonists of this beloved fairy tale. 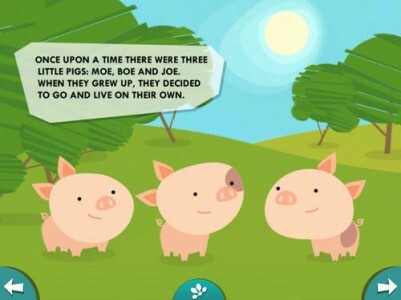 This fairy tale tells the very famous story of the three little pigs. Joe, Moe and Boe are three protagonists of this beloved fairy tale. In this App, they get a 2.0 make over, jumping from the printed page to the iPhone and iPad screen. The magic of the original story is enhanced, and kids are finally allowed to play with the three little pigs, enjoying a fully loaded experience. 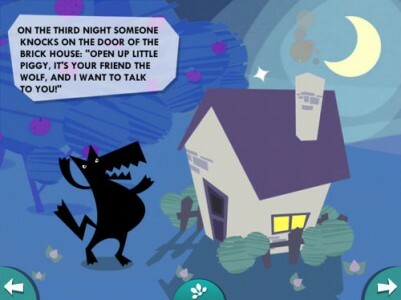 In fact, in addition to reading, watching and listening to the story, it is now possible to interact with characters, objects, and backgrounds. Just move the device, swipe or brush the screen with a finger to discover a brand new world of fun, specifically developed for kids. Through this app, mum and dad will be able to transform story telling – one of the most important steps in the emotive and social development of their kids– into an enthralling and educational experience, that will improve the kids reading skills, while also helping them develop their creativity and ability to listen. All while having loads of fun. Turutu, makes stories come to life. With interactive characters, sounds and colors designed especially for kids, their natural curiosity and engagement are enhanced and nurtured. 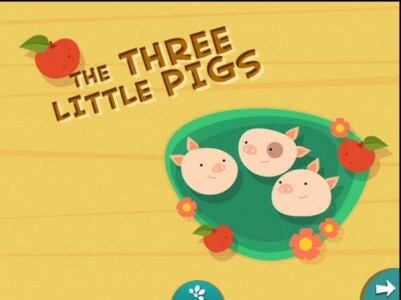 The three little pigs for ipad has been designed for kids aged 3 to 5, and is available in italian, english, french, spanish and portoguese. 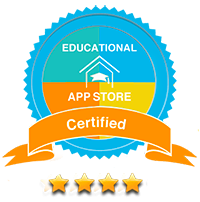 The story comes with twenty-four scenes with original ipad-conceived graphics leading kids towards exploring, invention, and experience. So… let the fun begin!